If you’re looking to buy a new laptop that matches your work ethics, you can find the most compatible laptop for you in our category that holds a variety of brands and models for only the most convenient laptops. Our category offers the best brands in the market like HP, Dell, Lenovo and even Apple. Our HP laptops have proven to be useful if you’re looking for an everyday laptop as well as getting a little work done on it. Laptops like Macbook Air and Macbook Pro provide the best experience if most of your electronics devices are related to Apple. If you’re looking for performance, your best choices are Dell laptops and Lenovo laptops for the heaviest workload such as Ideapad 320 15IKBRA and Ideapad 130 15AST. Jumia offers you detachable and convertible laptops, as well! You can’t go wrong with our choices. Best Laptops on Jumia for Best Performance! According to the use you will make out of your laptop whether work, play or even standard use, hundreds of models have been produced to best suit you. You can get an intel core i3, i5 and even core i7 depending on your daily use. 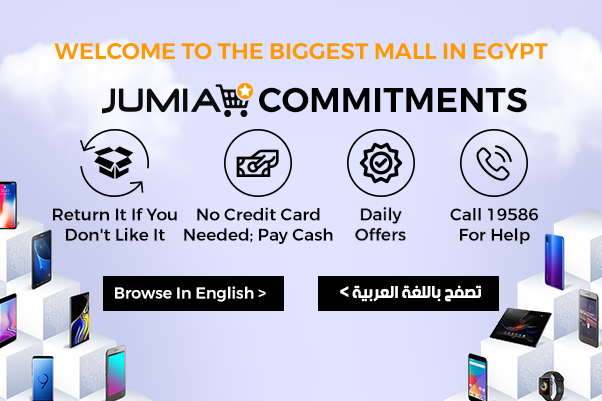 Choose your new laptop now with Jumia Egypt, offering the best online shopping experience in Egypt!